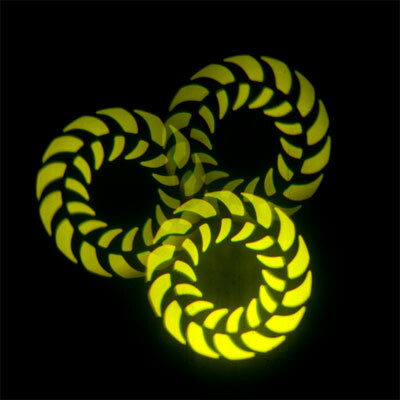 The Motion 60 LED from Eliminator Lighting is a compact yet versatile LED moving head powered by 1x 60W white LED. 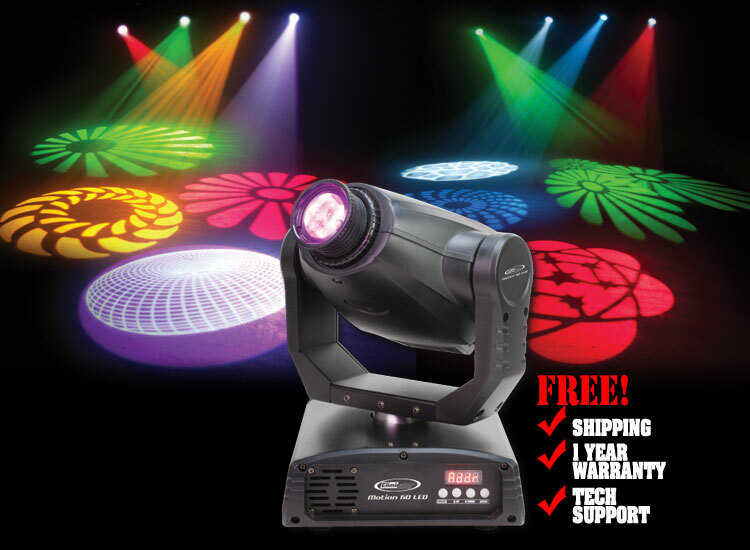 Being compact in size it makes it a more lightweight fixture for easy portability and ideal for a mobile DJ or entertainer. 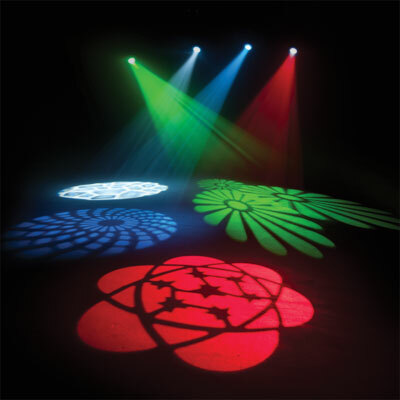 Whether you use it at a small club or large event the Motion 60 LED will not disappoint. 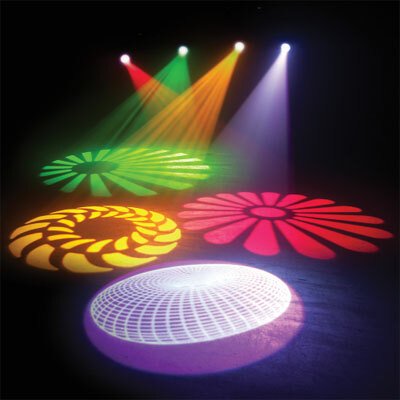 The Motion 60 LED features 8 dichroic colors plus white, 7 gobos, gobo shake, strobe and rotation effects. Offers 2 DMX operating channel modes and linkable via 3-pin XLR connections on rear section of the unit. Weight: 20 lb. / 9.0 kg.